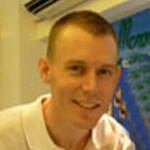 Dental Crowns Bangkok, Best Dentist in Bangkok. We would normally agree to the fact that “covering up a problem isn’t going to solve it.” That, however, may not be applicable when we speak of dental crowns. Dental crowns can actually solve a number of dental problems, and with the latest technological innovations transforming the field of cosmetic and restorative dentistry, the numbers continue to increase. From newly introduced materials like zirconium, to the latest techniques like CEREC one-visit dentistry, treatment results with dental crowns keeps getting better, stronger, and more predictable. 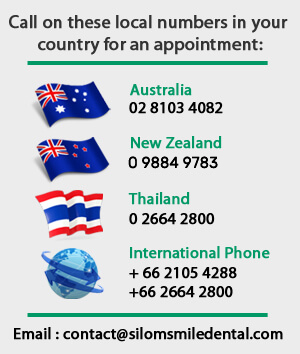 At Bangkok Smile Silom Branch, we use dental crowns to protect, restore, and support broken or weakened teeth. You can think of them as a protective hat that prevents a tooth from further damage, most especially if it has undergone a trauma from either an injury or post-treatment effect from let’s say a root canal therapy. 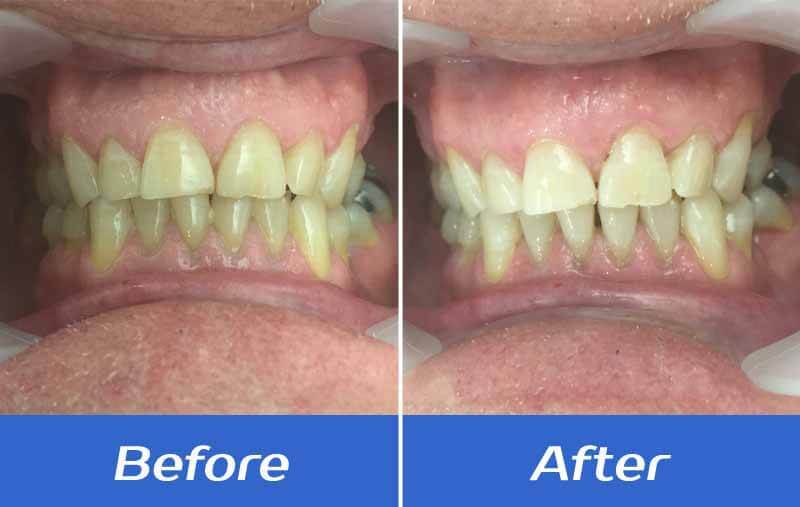 If you have severely discoloured, sharp/malformed, or fractured teeth, a dental crown can be placed over to restore their proper function as well as reinforcing them from further decay. They may as well be used to cover a dental bridge or large dental filling. At Bangkok Smile Silom Branch, we offer both conventional and state-of-the-art dental crown fixtures which are directly fabricated from our in-house dental lab. Full porcelain or ceramic dental crowns are currently the preferred material of choice for patients wanting to restore or strengthen their natural teeth. They exude an extremely natural-looking appearance and so they are most often placed over the front teeth. Like the enamel of a natural tooth, porcelain crown material features a translucent appearance. Moreover, the size, shape, and shade can easily be altered to blend and match with the rest of your smile. Your dentist will make sure your new tooth will complement or even improve the strength and beauty of your smile. Another reason for being a prominent request from patients who wants their tooth/teeth crowned is its material bio-compatibility. This tissue-friendly dental crown will restore the strength and aesthetic of your damaged tooth/teeth without projecting a risk for any allergic reaction with metals. And although they are much more recommended for the front teeth where there is lesser biting forces being exerted, porcelain crown core materials have been modified and improved over the past years, so they can also be suitable for prosthetic restorations anywhere in the mouth. PFM, or porcelain-fused-to-metal crowns are hybrid-designed full-metal and full-porcelain dental crowns. During fabrication, the fixture is made from a shell of metal (which will serve as the core substructure) which was patterned after your affected tooth. A layer of pure porcelain will then be fused over the metal substructure to give the crown a natural tooth-like appearance. PFM crowns have both the aesthetic and functional advantages of a dental fixture. They are nearly-natural in appearance from the outer layer porcelain, and owns the strength and sturdiness courtesy of the underlying metal substructure beneath. Before PFM and ceramic crowns were developed, dental crowns were made from various metallic materials like gold-alloy, palladium, nickel-alloy, or chromium-alloy. Although their poor aesthetic feature makes them the least choice, especially for the visible-part (anterior/front portion) of the teeth, metal crowns are ideal for restoring decayed or weakened posterior/back teeth. They are ultimately durable would not require that much of healthy tooth structure to be shaved-off for placement, as compared to ceramic crowns. Expertly fabricated and well placed cast-gold-alloy crowns are still known to be the longest-lasting dental restorations up to date. At Bangkok Smile Silom Branch, we are truly proud to let you know that our in-house dental lab also fabricates Advanced Ceramic Dental Restorations like ZIRCONIA (zirconium ZR-40) and IPS-EMAX Lithium Disilicate CROWNS & Dental Bridges – two of the leading innovations and the future of dental restorations. 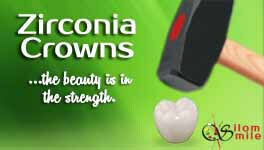 Zirconia dental crowns are derived from an immensely strong and super-durable material called zirconium (Zr. AN-40), which is also found to have the exact characteristics of being bio-compatible like titanium. Zirconium ceramic powder is then obtained after reductive clorination and afterwards processed to form a solid ceramic block. Our in-house dental laboratory then harnesses the power of CAD/CAM Technology to mill the solid block of Zirconia with speed and precision to produce a dental crown with the most astounding strength, durability, and great aesthetics. Zirconia crowns are quickly gaining popularity in the world of advanced dentistry not only because of its endurance to wear and tear of everyday use, but mainly because from an aesthetic point of view, they closely mimic the translucency of a natural tooth. In fact, the crowns actually reflect light in the same way your natural teeth does, and this proves to be a significant factor for the crowns being used in the anterior (front) portion of your mouth, where it will be seen right beside a natural tooth. 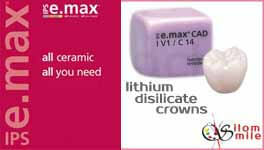 Lithium Disilicate dental crowns from IPS e.max created quite a name in the dental world because of their unique glass-material composition that features an enhanced strength, versatility, and ofcourse, great aesthetics. The composition of lithium disilicate starts with a mixture of quartz, phosporoxide, potassium oxide, lithium oxide, alumina, and trace element powders to produce a glass melt. Upon achieving the proper viscosity (similar to that of honey), the glass melt is poured into a mold and left to cool. This process (glass flow) produces a shock-resistant ceramic semi-oblong blocks called “ingots” with minimal pores or other internal defects due to low thermal expansion. The ingots are usually produced by batch depending on the size and shade of the materials and further processed with advanced CAD/CAM procedures. Lithium disilicate demonstrates higher edge-strength where they can be precisely milled & finished thinner without ever chipping at our in-house dental lab, in comparison with traditional ceramic materials. The high translucency in lithium disilicate also produces a “chameleon effect” that exudes life-like aesthetics to the crown. Never before has a material composition been able to combine maximum strength, great aesthetics, and ease of use into a single product. "Thanks very much for the great job & very friendly staff. If i'm in Bangkok again I will come here again. Thanks." 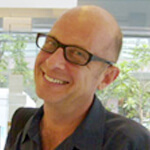 "Thank you all at Silom smile for their lovely welcoming smiles every morning. For coming in early and staying late for us. You really make miracles happen here, I am more than impressed with my result. Hope to see you again in the near future!" "Very professional service. Very attentive staff. Very happy with the result." "Thank you so much for the great service, so fast too! 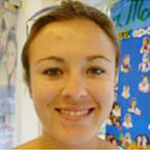 Everyone is very friendly and made me feel welcome." "Excellent dentist! Most amazing dental work! I had so much done & with my travel agent making mistake with my dates made things difficult but they were fantastic, fitting in appointments at absurd times, they work so hard & my teeth NEVER looked better!" "GREAT RESULTS! Now, I will be even more confident smiling. Good I had it done."